Ranges account for the majority of total reported home structure fires involving cooking equipment. (NAPSI)—While the kitchen is known as the “heart of the home,” it’s also where many home fires originate. 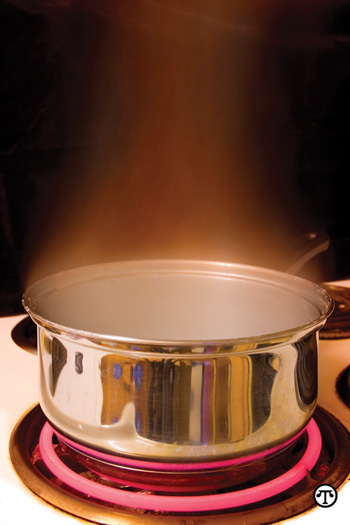 On average, 160,220 home structure fires involving kitchen equipment occur each year. • Plug all appliances directly into the wall; do not use extension cords. • Make certain all small appliances and tools are approved by an independent testing laboratory, such as Underwriters Laboratories (UL), Intertek (ETL) or Canadian Standards Association (CSA). • Use a timer to avoid overcooking and burning. • Unplug countertop appliances when not in use. • Move all appliances away from the sink to prevent contact with water. Do not use electrical appliances that have been wet. • Be sure all fire alarms in the house are functioning. Install smoke alarms at least 10 feet from cooking appliances to reduce the possibility of nuisance alarms. • Clean your appliances regularly, including vacuuming refrigerator coils every three months to prevent potentially dangerous dirt buildup. • Be sure your kitchen is equipped with ground fault circuit interrupters (GFCIs) and test them monthly to ensure they’re functioning properly. • Have arc fault circuit interrupters (AFCIs) installed to prevent potential problems with your wiring system. Test them monthly, too. For more ways you can serve up safety in the kitchen and throughout the home, visit the Electrical Safety Foundation International at www.esfi.org.